Error for DAR: "No Data Was Found"
"Please Change Your Parameters and Try Again"
The Daily Activity Report can be run both manually and set up to be run and sent automatically. If you run the Daily Activity Report and encounter the error; "No Data Was Found. Please Change Your Parameters and Try Again." Please check your Date Range. Make sure the Date Range you select has data reported to the issue monitor. If there were no issues created during the selected date range the Daily Activity Report will be blank. NOTE: Data being uploaded to the server and issue monitor is based on the device's internet connection. If, in the case of an Automated report, the Silvertrac App user logs off the reporting device BEFORE issue data can be uploaded with an Internet Connection, that data will be held in a queue until they log in again with an Internet Connection and the report could be blank. 2. Please check your Report Options. 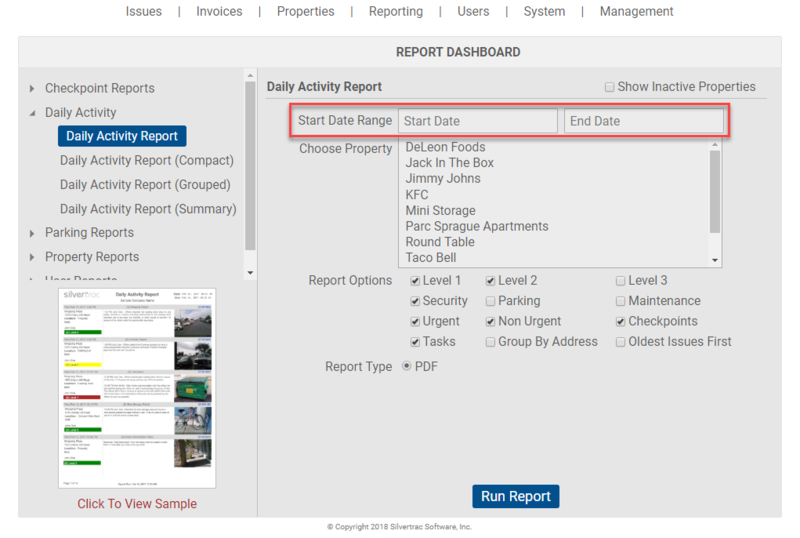 The Report Options allow all or specific data collected within a specific Date Range to be included in the Daily Activity Report. 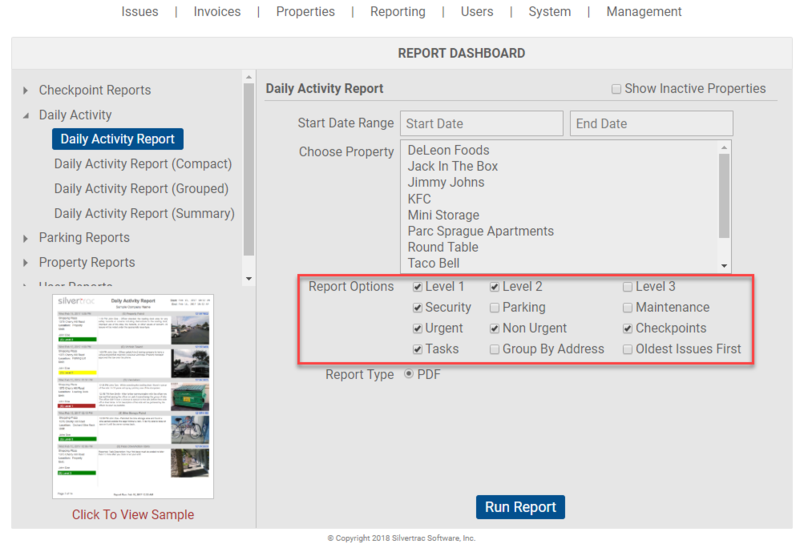 By default Report Options Level 3, Parking and Maintenance are not automatically selected. This could have a direct impact on the Daily Activity Report being run whether Automated or Manually. For Example: If you set up or ran the Daily Activity Report with the default selections and the actual issues were all level 3 then the report would be blank.